To celebrate the one-year anniversary of the launch of the NIH All of Us Research Program, the All of Us Speaker Series is hosting the 90-minute session From Data to Discoveries: Creating a Research Program for All of Us on Monday, May 6, 8:00-9:30 AM PDT. The free event is open to the public and will be hosted on the NIH Facebook page, featuring presentations from NIH Director Dr. Francis Collins, All of Us Research Program Director Eric Dishman, National Institute on Drug Abuse Director Dr. Nora Volkow, and other colleagues. For additional details, visit the meeting agenda for speakers and talk titles. Mark your calendars and RSVP today! Please join the All of Us Research Program for the next event in their Speaker Series, “From Data to Discoveries: Creating a Research Program for All of Us. ” As the All of Us Research Program marks its first year working to build the largest, most diverse research programs of its kind, this symposium will address what it takes to create an engaged participant community and its potential for scientific impact. What: Speakers include: Dr. Francis Collins, National Institutes of Health; Eric Dishman, All of Us Research Program; Dr. Nora Volkow, National Institute on Drug Abuse; Ana Pavón, All of Us Participant Ambassador; Dr. Robert A. Winn, University of Illinois at Chicago; Deven McGraw, Ciitizen; Dr. Elizabeth Cohn, Hunter-Bellevue School of Nursing; and David Glazer, Verily. Bring your ID and arrive early to give yourself time to find the auditorium. Go to NIH’s Visitor Information page for maps and more information. Can’t join this next event in the Speaker Series in person? No problem! The symposium will also be hosted on Facebook Live where you can tune in to the event and leave your questions. If you miss it, an archive of the event will be available. RSVP today! Are you attending the Medical Library Association conference beginning next week? If you are, consider attending Advancing Health Equity through Evidence-Based Public Health: How to Find the Evidence, a continuing education session presented by our Health Professionals Outreach Specialist, Derek Johnson and Elaina Vitale, Academic Coordinator for the NNLM Middle Atlantic Region. There’s still room available in the session, and it’s not too late to register! Be sure to stop by poster sessions presented by our team, Is Learning Actually Happening? Investigating Course Outcomes Beyond Traditional Evaluation, presented by Rachel Gatewood and Bobbi Newman, and Stand Up for Health: Health and Wellness Services for Your Community, presented by Bobbi Newman, Carolyn Martin, Consumer Health Coordinator for the NNLM Pacific Northwest Region and Margot Malachowski, Education and Outreach Coordinator for the New England Region. Also, check out a couple of presentations on projects funded by our office: A Health Sciences Library Empowering Community Health, presented by Tiffany Grant, Sharon Purtee, and Don Jason from the University of Cincinnati and Health Literacy of Refugee Populations, presented by Margaret Zimmerman from the University of Iowa School of Library and Information Science. Stop by the National Library of Medicine booth in the exhibit hall, where you will have the opportunity to talk with our staff about the NNLM All of Us National Program, an activity led by Britt Thomas, our Community Engagement Center manager. Check out the promotional video Britt created about this opportunity! While you’re networking at the meeting, look for our staff, including Sam Watson, Jacqueline Leskovec, Derek Johnson, Bobbi Newman, Darlene Kaskie, Linda Walton, and myself. Have something you’d like to chat about? Reach out to us in advance and set up a meeting at MLA with one of our team members. Because mental health conditions, such as depression or anxiety, are real, common and treatable, the National Institute of Mental Health (NIMH)(link is external) recognizes the importance of scientific research to advance medical breakthroughs. To help raise awareness, May is recognized by the National Health Observances as Mental Health Month(link is external). The NNLM Reading Club has a new Reading Guide for Mental Health Month. In this guide, you will find a variety of trustworthy resources and program ideas to support health education and reduce the stigma often associated with mental health disorders. Select one of the NNLM Reading Club selected books, share the information, and start the conversation. It’s hard to believe, but this time last year the All of Us Research Program launched across the country. All of Us would like to invite you to the program’s one-year commemoration of national launch. 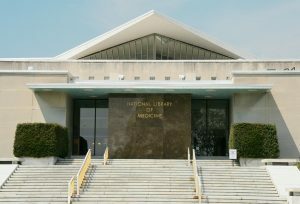 The National Institutes of Health is hosting a symposium, “From Data to Discoveries: Creating a Research Program for All of Us.” Featured speakers include NIH Director Francis S. Collins, M.D., Ph.D., All of Us Research Program Director Eric Dishman, and National Institute on Drug Abuse Director Nora D. Volkow, M.D. See the entire agenda here. Healthy Community Tools for Public Libraries, a project of the National Network of Libraries of Medicine (NNLM) and the Public Library Association (PLA), brings together a host of resources to help public libraries better serve their patrons’ health needs. Most recently, PLA has added a nationwide online scheduling tool that allows users to search for free, local healthcare enrollment assistance. Learn how Project Outcome can help your public library measure the outcomes of its health programs and services during a free webinar on May 16th at 1:00pm. Learn more about the project and register for the webinar here! The All of Us Journey, a traveling exhibit that teaches visitors about precision medicine and the All of Us Research Program, is visiting St. Louis, Mo., now through April 26. The Journey Exhibit, along with its Mobile Education and Enrollment Center, will be at A.T. Still University at the National Alliance for Hispanic Health and at two campuses of St. Louis University. The All of Us Research Program aims to sign up a million or more participants to share their health data in the interest of diversifying biomedical research. The nationwide effort is designed to accelerate research and improve health by considering each individual’s lifestyle, surrounding environment and biology that can impact their health differently than others. Where will the Journey bus travel to next? Go to https://www.joinallofus.org/en/journey to check out upcoming visits. The NNLM All of Us Community Engagement Network is pleased to announce its three book selections in support of Mental Health Awareness, a May National Health Observance. 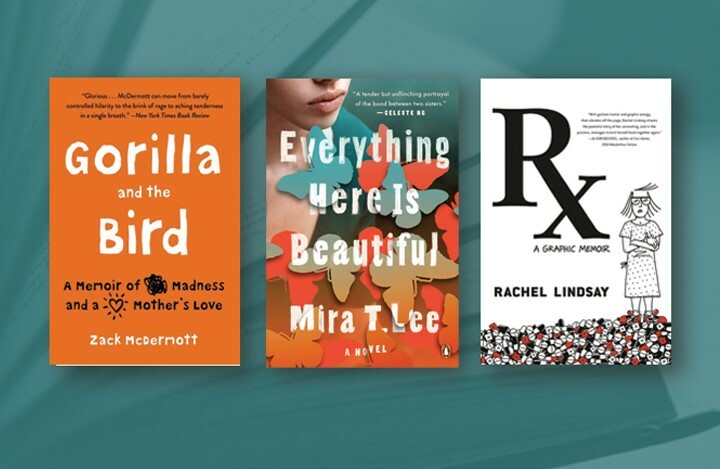 To learn more about each of these titles, download book discussion guides, promotional materials and corresponding mental health information or to apply for a free NNLM Reading Club Book kit, visit the NNLM Reading Club Selection Guide: Mental Health. Libraries and organizations who participated in the previous book club themes of Family Health History and Heart Health can request another free book club kit in this new selection. Kit requests must be received by April 30th. To request a book club kit, complete an application. April features Minority Health Month, Citizen Science Day, National Prescription Drug Take Back Day and Air Quality Awareness Week. The materials are part of NNLM’s campaign to supply libraries with materials and programming ideas based on noteworthy national health observances like National Immunization Awareness Month in August or Family Health History Day in November. The selection of available materials will be updated monthly as new health observances approach. Go to NNLM MAR’s print material order form. Kits are listed at the bottom of the page. American Library Association: Many of our colleagues through NNLM will attend ALA in Washington, DC, June 20-25. Academic & Data Services Coordinator Elaina Vitale will moderate and co-present “Citizen Science for Libraries” with Alicia Lillich (MCR) and George Strawley (MCR) staff June 24 from 10:30-11:30 AM. If you’re looking for an opportunity to create a community of health environment in your library, promoting the National Health Observances (NHOs) will do just that! The NHOs devote special days, weeks, and months to increase public awareness about important health and wellness issues. Supporting these observances can help educate and encourage healthy behaviors in your community. The National Network of Libraries of Medicine (NNLM) provides resources for public libraries that align with NHOs throughout the calendar year. Providing programming resources is one way that the NNLM All of Us Community Engagement Network (CEN) supports communities with consumer health information and education in order to increase health literacy and raise awareness of the NIH All of Us Research Program. If you’re library is interested in supporting these observances, go to the NNLM All of Us CEN website to find helpful guides and resources you can use today! The National Library of Medicine and the All of Us Research Program (All of Us) are partnering to provide opportunities for NNLM Members to support health literacy programming, be a resource for library staff, and participate in All of Us activities within their communities. All of Us is based on precision medicine and aims to build one of the largest, most diverse datasets of its kind for health research, with one million or more volunteers nationwide who will sign up to share their information over time. Researchers will be able to access participants’ de-identified information for a variety of studies to learn more about the biological, behavioral and environmental factors that influence health and disease. Their findings may lead to more individualized health care approaches in the future. Over the next several months we’ll be highlighting ways you can get involved in the NNLM All of Us Community Engagement Network and learn more about the All of Us Research Program. Today, we’ll be posting two additional articles about some of the services, activities, and resources that the network has to offer. Check them out! The NNLM All of Us Community Engagement Network also offers funding and programming opportunities for health literacy infinitives for your library. For more information, contact your Regional Medical Library on how to apply. Visit the NNLM All of Us Community Engagement Network website at nnlm.gov/all-of-us to learn more about the partnership and about how you can get involved! You can also follow us on Twitter, Facebook, and subscribe to the new online newsletter to help you keep track of the latest news with the NNLM All of Us Community Engagement Network. The Journey, touring education exhibit for the All of Us Research Program is coming to New England this Spring 2019! The Journey, the All of Us Mobile Education and Enrollment Center is also in need of host sites. For libraries interested in more information on this unique opportunity, contact Catherine Martin, NNLM All of Us Community Engagement Coordinator at Catherine.Martin@umassmed.edu. To listen to a recording of Hailey (ID) Public Library’s experience in hosting the Journey last fall, click here.